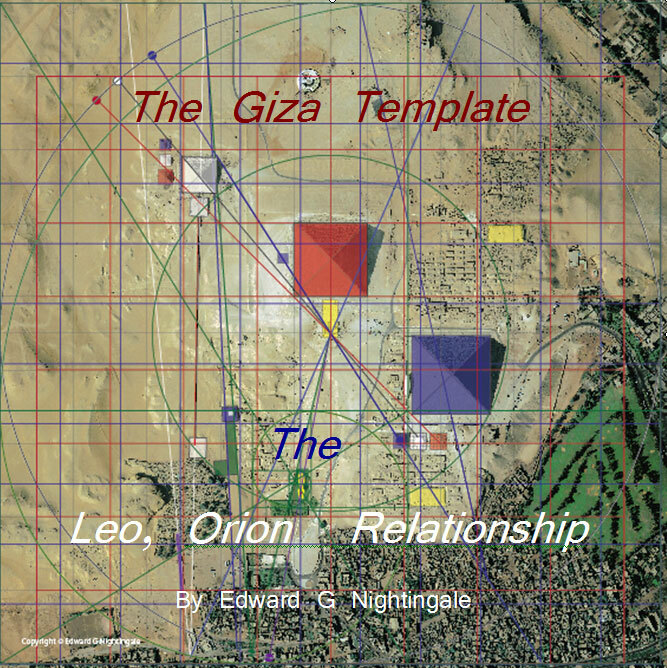 In my book The Giza Template: Temple Graal, Earth Measure, I lay out a defined blueprint for the Giza Plateau based on the idea that Giza was created as a repository for advanced scientific knowledge. This knowledge was encoded using number and proportion into the architectural structures that make up the Giza complex. This plan is based on a circle of 9 and square of 8, it is the fundamental concept of land management in many ancient cultures and used as the survey plat for the blueprints of the Giza repository. Documented within the first book are precise dimensions and positions of 11 pyramids, each encoding specific information. Explained in detail are the origins of the system of metrology pertaining to the Earth and its measure. In this article, I would like to share a small preview of The Giza Template as it continues with the measure of the heavens as viewed through the eyes of the Great Sphinx. The next stage of the repository is to record the motions of the heavens. To make accurate measurements of the celestial motions it is necessary to create one point on Earth from which the sky will be viewed and measured, this point is the Sphinx. The Sphinx views the eastern horizon, its counterpart in the sky is Leo, the lion shaped asterism created in the stars indexed with the star Regulus. This star is located on the ecliptic, the path of the Sun and planets in our sky. The constellations that appear within 9° above and below the ecliptic are called Constellations of the Zodiac. These 13 Constellations move counterclockwise at a rate of approximately 1° every 72 years, 360° in approximately 25,920 years, this movement is called precession. The location of the Sphinx encodes the number 259.2° as shown above relating it to precession with a 23.5° angle, Earth’s axial tilt, relating to the Wall of the Crow. A more detailed graphic here shows the precise positioning of the Sphinx, its associated temples as well as the Temple of Khentkawes and the Wall of the Crow. These structures encode the circular precessional movements we view as the constellations of the Zodiac. The Sphinx is located in the 21st square within the 8 x 8 square, this square is divided by 32 vertically, and 54 horizontally, as dictated by the Template coordinates. At the center of this square is the number 2592, again confirming the precessional number. The angle of the Sphinx Causeway is created using the 7/13ths division of the circle. The Wall of the Crow points to 23.5° axial tilt of the Earth relating it to the spiral. The Temple of Khentkawes encodes divisions of 9, 11, and 13 all pointing to a 13, 21 Fibonacci division of the main circle radius. A close-up of the Sphinx and related temples show how 54 horizontal and 32 vertical divisions determine the positioning as well as the length and width of the Lion body. The body lengths of 9 and 11 are encoding two prominent divisions of the circle demonstrated in The Giza Template: Earth Measure. The diagonal of the spiral and the 259.2° angle intersect at the head of the Sphinx, a hole in the Sphinx’s head at that point is consistent with this model. The job of the Sphinx is to record the range of the ecliptic from winter solstice though the spring equinox, summer solstice, fall equinox returning yearly to the winter solstice. The recording of all images of the sky being analyzed, originate from the location of the Sphinx. The Sphinx views the sky through the course of the year. The year is divided into months, days, hours, minutes and seconds. Using these six divisions of time, a calendar date was assigned using a binary date to the alignment of the Galactic Center with the Sun and Earth. It is from this alignment that the Gregorian, Mayan and Hebrew calendar reconcile. This date is encoded at Giza by drawing a 12.2120 12 12 21 12° degree angle between an 11° degree division of the square and an 11° degree division of the circle creating the multi- angled Causeway of Khufu the Great Pyramid. There is much more to this than I can explain within the scope of this article and it is only intended to be a preview of the next book in the Giza Template series. So, what do we see on the horizon at that moment from the viewpoint of the Sphinx? Using Stellarium software to view the sky on this binary date and time from the coordinates of the Sphinx demonstrates without doubt the reality and precision of this design. The star Sirius is on the horizon, The Great Orion Nebula, M42 in Orion’s Sword is 21° degrees above the horizon and directly above Sirius. A line drawn between Sirius and the Pleiades is 11° degrees off vertical. Remember the number 11 has been encoded previously and is pointing to this 11° angle. It is this view of Sirius on the horizon, the position of the Pleiades, and the relative position of the Great Orion Nebula that is being tracked and documented. The movements of the star Sirius and the Pleiades star cluster are at odds with the current theory of precession in that they do not demonstrate the so-called wobble motion of the Earth’s axis. This implies that Sirius and the Pleiades are on a similar trajectory as our solar system. In fact, that is exactly what I have discovered encoded in The Giza Template. I propose that our solar system, the star Sirius and the Pleiades star cluster system were birthed from the same stellar nebula, that being the Great Orion Nebula, M42. These three systems are each on their own spiral trajectory or path, each being separated by time and distance directly related to the Great Year Cycle of 25,920 years. These star systems are moving away from the M42 Nebula in a spiral motion with our ecliptic rolling along like a wheel on a spiral path. 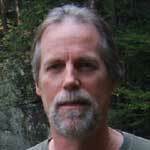 This movement defines and explains what we view as precession eliminating the outdated wobbling earth theory. Spiral motion and growth are seen throughout the natural world and should not be dismissed when considering an explanation for precession. This is a Stellarium circular view of the ecliptic and the 13 Zodiac constellations with Orion at sunrise on 12/21/2012 0hr 0min 0sec. Aligning the star Regulus in Leo with the Sphinx, index the lion on the ground and lion in the sky using these two witness marks. The ecliptic, the circle in green is over-laid with the Template at 7/13 concentrically within the Template circle. We can see that the Lion asterism is created geometrically as all the constellations are, Regulus is intersecting the circle and the spiral, the Lion’s front and rear mark the spiral, its head aligned to the centerline or axis. The blue line intersecting the Sun and Galactic center is 51.27° off vertical marking 5127 years. Take time to examine how all the constellation asterisms align precisely with the geometry of the Template. This is not by chance, but by intentional design of the architects, astronomers and scientists who created the Giza repository. We determined the Sphinx and Leo are counterparts, witness marks, as above so below. So where does Orion fit into this Leo, Orion relationship? As my friend, Robert Bauval has put forth in his Orion correlation theory, the three main pyramids at Giza are intended to index with the three belts stars of Orion, is in fact a key feature of the Giza repository’s design, which is to track the trajectory or path of our solar system. Here we see how the three main pyramids on the 9 x 9 Template are indexed on a mirrored image of Orion with his three belt stars. Using a 9 square and an 8 square we create a 13 x 21 Golden Rectangle within which we create a spiral. The center of the spiral locates The Great Orion Nebula, M42. The asterism designed within the constellation of Monoceros points to the center of the spiral and the alignment of the center of the galaxy on the ecliptic, behind the Sun and Earth as viewed from the Sphinx on 12/21/2012 at 16:00 hrs after sunrise. The word Monoceros is a two part word, Mono, meaning one, and ceros meaning plural. In geometry one point can be seen as a center point or axis. Monoceros in this case is saying multiple centers, and demonstrates that precisely with the design of the asterism pointing to two centers. An asterism is a figure drawn in the stars by connecting one star to another that is usually a human, animal, or an instrument and used to relate to stories that pass down information through the ages. In this image we see a photo of Orion overlaid on the Template and the spiral we created from it, precisely marks the spiral path of Barnard’s Loop back to the M42 Nebula. As I mentioned, based on this design element of the repository, that our Sun was born and ejected out of M42 , this is also the case for the Sirius star system and the Pleiades star cluster. These three systems are moving away from M42 in a spiral trajectory according to the information encoded in the repository of Giza. Look carefully at the other asterisms drawn in each constellation, each line points to very specific points in the geometry and create them all. In my next book in the Giza Template series, Heavens Measure, I will present further clear unambiguous evidence that whomever was responsible for designing the Giza repository was doing so with knowledge far in advance of what even the most open minded academic has even considered. The evidence I have presented in The Giza Template is not theoretical, it is a blueprint that recreates 11 pyramids, the Great Sphinx, the Temple of Kentkawes, the Wall of the Crow and other key features at Giza with precision. The reconciliation of the Gregorian, Hebrew and Mayan calendars is exact and will be presented in its entirety in The Giza Template: Heavens Measure.